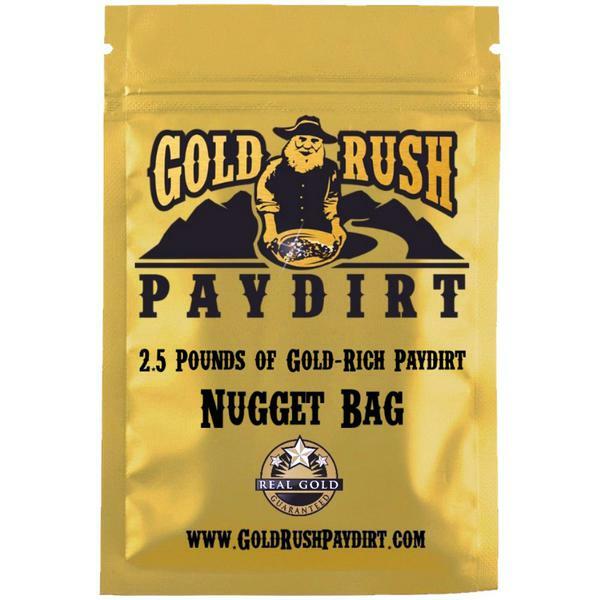 This 2.5 pound bag of gold-bearing dirt is called "Nugget" because it's chunkier -- you'll find nuggets in this bag. Comes directly from the Copper River in Alaska — ready to pan. You definitely won't be disappointed! Complete panning instructions included. Shipped via Priority Mail. Want more than one bag? Add additional bags to your order by entering the quantity you desire.